Ashtanga Yoga is a way of internal purification. It reveals the universal self and consists of eight spiritual practices. Ashtanga is a dynamic flowing practice, which syncs the movements of the body with the breath. It is to purify the body, building core strength and toning the body. Ashtanga yoga focuses on physical strength and muscle training. Making your mind calm, it also makes your body toned, strong and controlled. It helps to weight loss, increase flexibility and builds stamina and endurance. Ashtanga yoga is the best remedy for various mental issues like stress, anxiety and tension. With deeper breathing and focused on controlling muscle movement, your brain relaxes and brings a sense of mental wellness. Ashtanga Yoga impacts on the sub-conscious mind. A regular practice increases will-power, control over compulsive disorders, addictions and increases patience. Balanced emotions bring clarity in your thoughts and actions. Ashtanga yoga allows you to connect with yourself. This meditative yet challenging yoga system let you discover your hidden potential and higher energy. Practising Ashtanga Yoga, you go through a transformation. With a dedicated regular practice, you will change, your way of thinking, IQ and level of self-motivation will start increasing. Being more confident, content and happy, you can enjoy your life to the fullest. 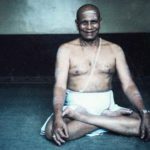 It is not easy, but you must try to commit to an Ashtanga Yoga class and see, what happens to you.